Cashier vs. Sales Associate: What's the Difference? Although some people view retail work as the sort of job you acquire to make some money during the summer, it can actually be a very lucrative, satisfying position. It takes a variety of workers to keep any shop open, whether it’s a clothing chain, a grocery store, or a car dealership. Two of these positions are sales associates and cashiers, and while they may share some tasks - and one person may even be both - they also have distinct responsibilities. Very often people are cross-trained, so that they can handle multiple aspects of what’s required for running a store. In almost any store that sells things, the customer gathers the items they intend to buy throughout the store and brings them to a distinct area intended for payment. Cashiers maintain these areas, usually a register, which have grown much more technically and are usually run by a computer program. Fifty years ago, a cashier would have been required to add the price of all of the items together, taken the customer’s money, and counted back their change. Now, through these programs, they simply have to ring the barcode, push a few buttons, type in the amount of payment (if it’s in cash; for a credit or debit card, the only requirement is more button-pushing), and hand the customer change and a receipt. They put the customers items into bags, which are handed over after the items are paid for, and wish them a good day. At the open or close of the store, some cashiers are trained to open and close the drawer, which essentially means counting all of the bills and change that are in the drawer, to make sure everything evens out like the printout from the computer says it should. What is a sales associate? A sales associates generally spends more time moving about the store. They may be specially trained for a specific area (like children’s clothes, or men’s shoes, or the makeup counter), or their area may change from day to day. Their tasks consist of greeting and offering help to customers, keeping the store and products tidy and stocked up, and sometimes preparing the store to be opened up in the morning or cleaned up and closed down at night. 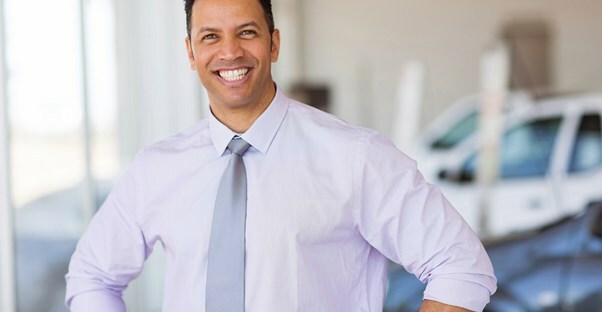 Obviously, these responsibilities vary greatly depending on the sort of store they work in; a sales associate in auto sales would focus much more on talking with customers and being knowledgeable and convincing in regards to the products they’re trying to sell. In an everyday clothing store (a very fancy clothing store would be a little different), a sales associate usually spends more time looking for the right sizes and following along behind customers, refolding shirts every time someone picks one up and shakes it out to view the image on the front. The biggest difference between cashiers and sales associates is how they interact with customers. In many stores, cashiers and sales associates are one and the same; the difference comes in what responsibility they are handling during a particular shift. A sales associate might even be called to be a cashier if the current cashier gets overwhelmed with customers. Sales associates deal more with maintaining products and initializing the sale of an item. Cashiers finalize these sales and handle money. They are also the last face a customer sees before leaving the store, which means they are often put in charge of obtaining email addresses for a business mass email list or trying to get customers to apply for store-specific credit cards. Cashiers are often required to stay in one place for the entirety of their shift, while sales associates have more freedom of movement and variety of tasks.